Way back at the start of the off season programme for the Denver Broncos’ it looked like Trevor Siemian might have the “upper hand” when it came to the quarterback role. 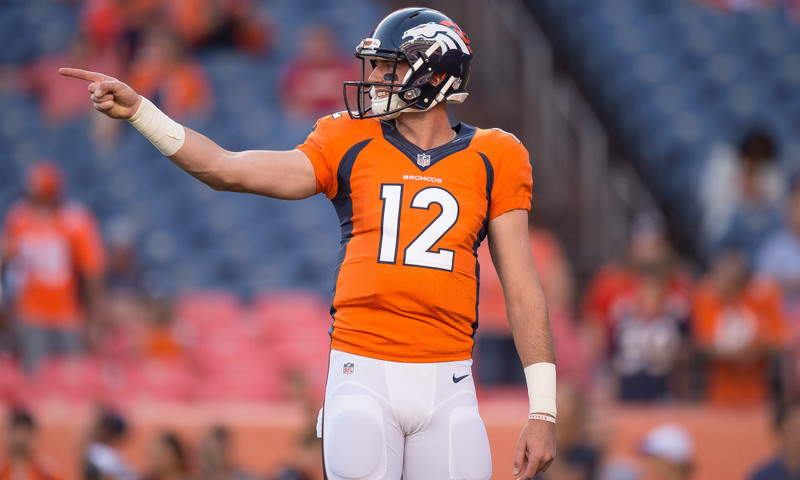 However, things have taken an unexpected turn, as Paxton Lynch is now seen to be making a push for the starting quarterback job with the Broncos. The respected pundit Mike Klis of KUSA-TV has reported that something dramatic has happened with Lynch in the past two weeks who was the 2016 first-round draft pick. When asked about the sudden change in his performance Lynch agreed, stating that he was finally starting to make some real progress. Lynch told Klis “Yeah, I mean the more reps I’m getting with these guys, the more I get to go against the defense and see the looks live compared to just on paper, it’s helping me alot,”. “I think each practice I’ve progressively got better. If Lynch can continue to make great strides pre-season then coach Vance Joseph will have a difficult task when the team veterans report to training camp on July 26. However Lynch isn’t sure that the decision will go down too well but appreciates what’s at stake. One thing’s for sure, the next two weeks will be very interesting indeed!